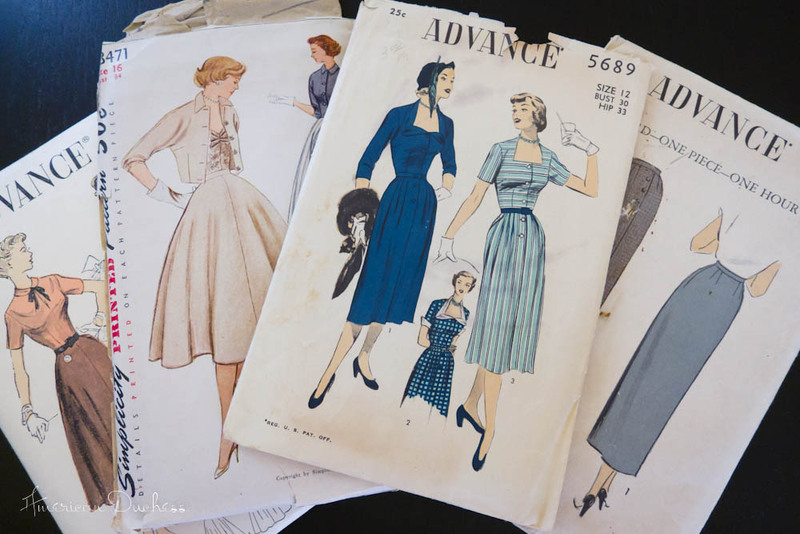 Yesterday I received a wonderful gift from Beth - four gorgeous vintage sewing patterns! I looooove vintage patterns. There is something about them that just makes sewing with one a real treat, even if I always have to adjust for a size or two up. Luckily, a great many 1950s and 60s patterns are so simply drafted that it is easy to scale them. Thank you Beth!! These are gorgeous! 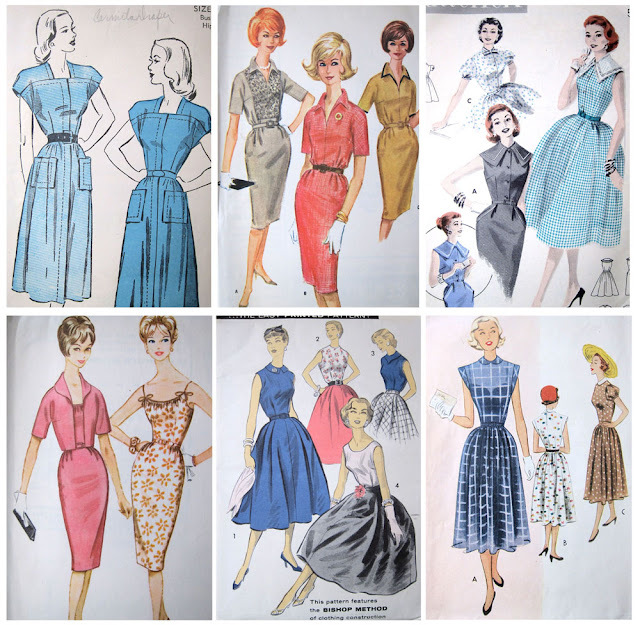 I am also selling some vintage patterns on eBay. I bought a bag of 40-some-odd awhile back, and kept about half of them, but there are quite a few that I would like to offer for sale. Most of them are vintage size 12, some smaller, some larger. I've started them at super-low prices on the auctions, so if you're looking for a steal, check these out - my store is HERE. Wow!! That's quite a present! 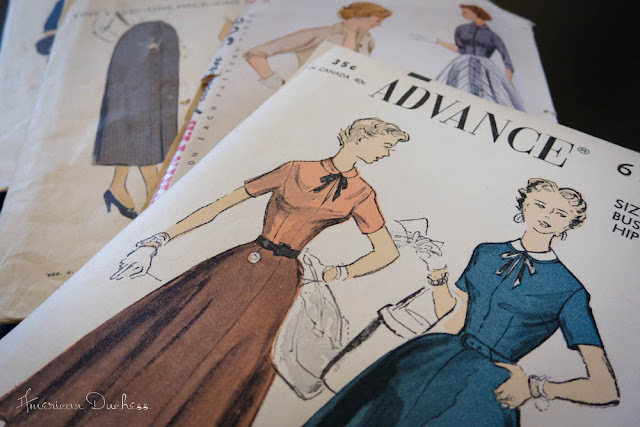 There's nothing quite as exciting as an antique 1950s pattern.